We are planning to use ‘Mariana’ for the roma variety and probably ‘Chocolate Cherry’ for the cherry tomato. 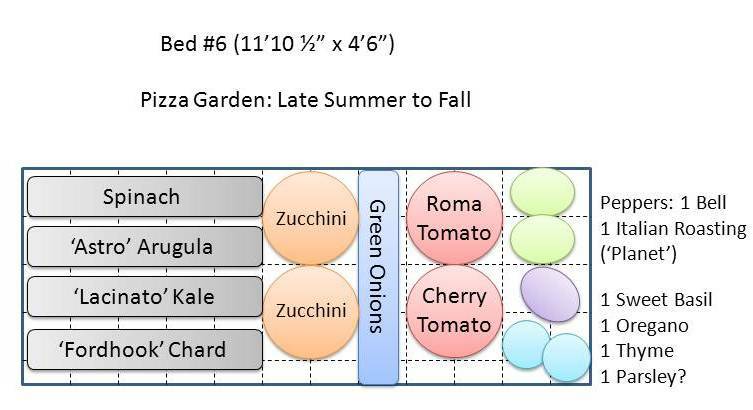 The bell pepper will probably be ‘Big Bertha,’ because I think I still have extra seeds. ‘Planet’ is the variety we’ll be trying for the Italian Roasting peppers. Then in the second half of the season we had to get a little creative. 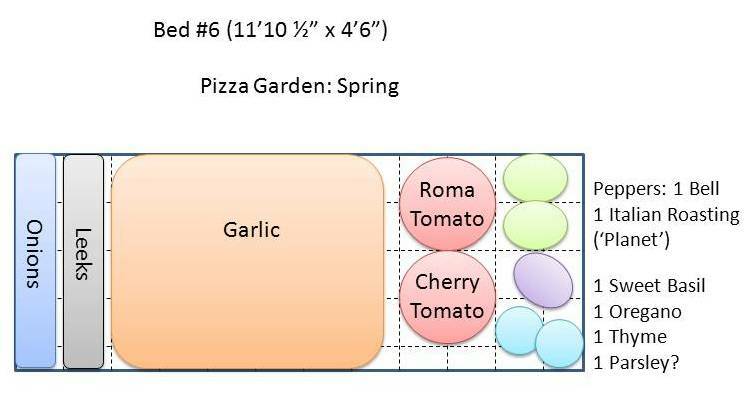 After we harvest the garlic, we need something semi-pizza-ish to plant. We are going to do a row of green onions (I know, poor rotation again), a couple of zucchini plants, and some greens. I know the zucchini and greens are maybe a bit of a stretch for some of you to put on pizzas, but they shouldn’t be! Hopefully we can showcase some pizzas this fall using those greens.